Ever have one of those days when you walk through your facility on your way to your work day and something different catches your eye? It’s the day that it hits you that your lobby area is dated. What was once fresh and new is now drab and old. The saying “you never get a chance to make a first impression” might resonate through your head as you think about how many people are coming to your facility and getting the wrong first impression. The furniture they see your lobby is attention-getting for all the wrong reasons. Ganging Seating. Ganging seating that combines both traditional and bariatric size seating is a great way to make maximum use of available space. Seating pieces connect together with metal fasteners to fix your favorite seating configuration in place. Coordinating tables connect to the ganged chairs to add needed surfaces for drinks, paperwork and reading material. The ganging feature ensures that seats do not get moved around and keeps lobby areas compliant, clean and well-appointed. Traditional Upholstered Seating. Upholstered seating is by far the most inviting type of seating allowing comfort for consumers and guests that might use the lobby space for conversation or even therapeutic purposes. Traditional upholstered pieces in bright colors and large patterns are current trend that instantly energizes a space. To complement a space with lots of natural light, light earthy colors can balance aesthetic requirements with the practical needs for seating. Contemporary Upholstered Seating. With sleek lines, solid colors, chrome metal accents and wide variety of looks and functions, contemporary upholstered seating is a fantastic complement to industrial style, wide-open interiors. Older buildings with tall ceilings and expansive common areas really benefit from the understated, linear seating design of contemporary upholstered seating. Accent tables. Regardless of the style or age of the seating in your lobby area, coordinated accent tables are an excellent way to add sparkle at a budget-friendly price. Choosing a finish that adds contrast to existing color schemes adds visual interest and harmony to a space that might otherwise be dull or disconnected. Table lamps. Revamping installed lighting is time-consuming and often involves contractors and inspectors. A simpler alternative is to add table lamps. Table lamps on end tables adjacent to seating pieces are a great way to brighten an area lacking in personality. 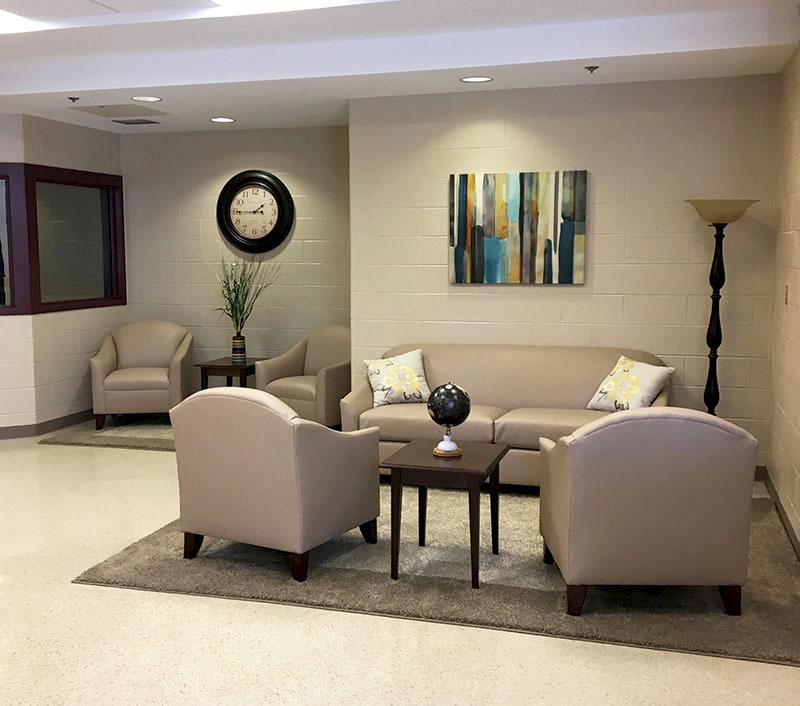 Whatever theproject, or whatever the budget, know that adding new life to your aging lobby space can be easy and painless. If it is time to make a large-scale overhaul, know that you have lots of options. But, always make sure to work with an experienced contract furniture company that has the product and experience to make your project exactly match your vision and your budget!